June 6, 2016, PROVIDENCE – The first exclusive kelp farm in Rhode Island, to be located within the Point Judith Harbor of Refuge, was recently approved by the R.I. Coastal Resources Management Council (CRMC). The Council unanimously approved the application for the 2.75-acre farm at its May 24, 2016 semi-monthly meeting. According to CRMC Aquaculture Coordinator David Beutel, the permitting process took a year to complete, and for a number of reasons. The original application proposed that the farm be located at the western side of the center wall of the Harbor of Refuge. After concerns were raised by R.I. Department of Environmental Management (DEM) Division of Fish & Wildlife regarding potential impacts to migratory waterfowl and hunting, however, the applicant David Blaney chose to relocate the proposed kelp farm off the wall. Though kelp farming is new to Rhode Island, there are a number of successful farms in operation in Maine. 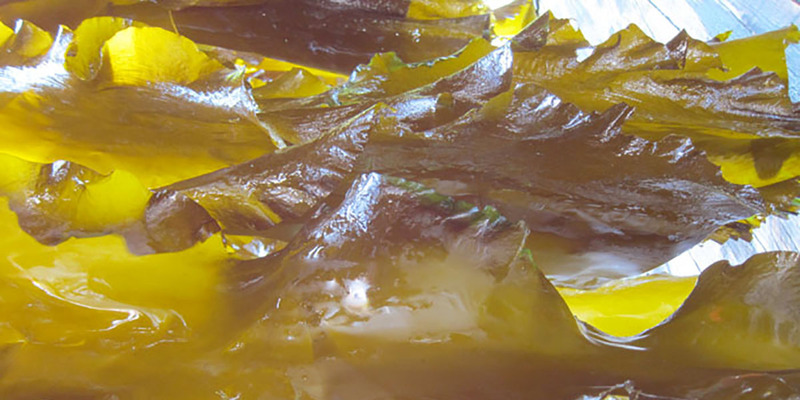 Kelp is grown in a suspended method, with a series of lines and anchors, the uppermost ends of which are submerged seven to eight feet below the surface. As the kelp grows, weights may be added to ensure the kelp stays submerged. Blaney will be growing sugar kelp on his farm. Two objections were received during the original public notice period – one concern over viewshed issues (the farm being visible from land), and the one from (DEM) – and were addressed. CRMC staff determined that the first concern over visual impacts was not substantive – the proposed location was 5,000 feet from the land location in question, and the farm and gear would be submerged and invisible from that point. Regarding the concern from DEM, the CRMC staff agreed that activity on an aquaculture site could displace sea ducks, and could have a negative impact on hunting (or could flush ducks toward hunters for a positive effect), but does not take into account the nature of kelp farming. In addition, according to Beutel, kelp is a winter crop, and would be harvested when there is little activity on the pond. The applicant also agreed to remove all gear from the pond between May and November, when it’s not being used. All four corners of the lease/farm area will be marked with lit buoys. Sugar kelp, or Saccharina Latissima, a brown algae common in the Atlantic.